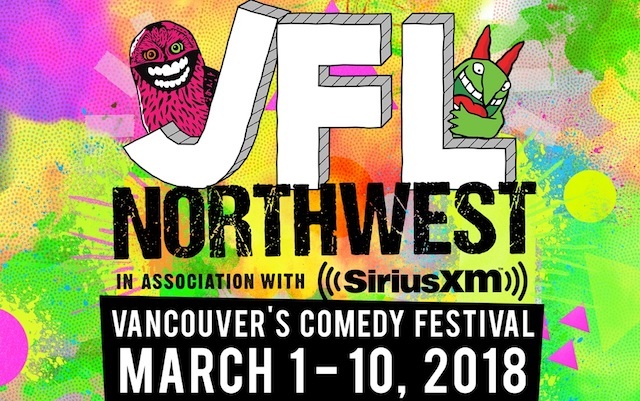 Bringing much-needed laughs to brighten up our rainy Vancouver winter, JFL NorthWest returns for a third year with a stellar line-up of hilarious local and international comedians. New this year is the Vancouver Just For Laughs Film Festival, which will include short and feature films as well as industry panels. Returning for his third year in a row at JFL NorthWest is Daily Show host Trevor Noah. Also joining the festival from The Daily Show is Ronny Chieng whose segments as a correspondent on the show have made him a household name. Other big names include Jo Koy, known for his Filipino mom jokes, Maria Bamford and her dry, unique humour, and Bill Burr who had a third show added due to popular demand. I’m personally looking forward to Anthony Jeselnik who became one of my favourite comedians after seeing his Netflix special, Thoughts and Prayers. His punchlines are unexpected and he’s not afraid to joke about anything. Another highlight for me is the return of This is That, a live version of the popular CBC podcast that produces satirical stories that have the tone and Canadian relevance that sound like they are straight out of a CBC radio broadcast. Other comedians to catch at this year’s festival include Vir Das who can be seen performing in India and New York on his Netflix special, Abroad Understanding; Nikki Glaser, whose style is reminiscent of Iliza Shlesinger; SNL cast member Sasheer Zamata; and Debra DiGiovanni who will also be appearing in Surrey for I am Woman! Hear Me Laff! on March 9. For the best of local comedy, JFL NorthWest will present the Best of the West Series featuring acts such as The Ryan and Amy Show, Jokes Please!, Tinder Tales, All You Can Eat Laundry, and Little Mountain Improv. And new this year is the Vancouver Comedy Awards hosted by Graham “Sparky” Clark & Paul Anthony. Another variety show to add to your list is The Alternative Show hosted by Andy Kindler featuring the best of off-the-wall alternative antics. Of course, these are only a few of the talented comedians bringing the laughs to Vancouver this March. For the full line-up and more details, visit JFLNorthWest.com.